Birmingham, Alabama (CNN) - The class of 1963 crowded in a rectangle on the dance floor, the memories of high school fresh on their minds as the band played in a sea of pink and blue hues. Aretha Franklin. Etta James. The Temptations. Just what you would expect to be playing at a 1960s prom. Yet the song that drew the most bodies to the dance floor was "The Wobble." Until this hip-hop song emptied the chairs, it felt as if the auditorium had been transported back 50 years. But it's 2013, and despite the full-court nostalgia for the 1960s, that decade was one of the most difficult times in Birmingham's history. Societal tensions over race were so high in 1963 that the city canceled senior prom for five of the city's segregated high schools for blacks. Today, a half century has passed since the seminal civil rights protests that changed Birmingham and plotted a path for the nation away from segregation and toward equal rights. Just like that path, the healing process has been a long one. The Historic 1963 Prom, held Friday and hosted by the city of Birmingham, closed one chapter for these Alabamans. Growing up in Birmingham in the 1950s, Earnestine Thomas knew the rules of this segregated city. At a restaurant, she could pay in the front, but had to walk around the back to get her food from a cook. She could shop only in certain places; there were neighborhoods that she knew not to visit. "As a child, I recognized that it was unfair, but didn't understand that there were laws propping (segregation) up," she said as she waited for a hair appointment before Friday's prom. She treated herself to a hair styling before donning a lavender dress with a sequined jacket and matching shoes. Lavender was a fitting color, she said, not just because it is her favorite, but because it was the school color at Parker High School. It was a day of celebration that she and her classmates were denied in 1963. (CNN) - There's something a bit different about Dan Johnson's classroom at Cambridge-Isanti High School in Cambridge, Minnesota. Johnson remakes the room and his wardrobe to help students understand history. Recently, he replaced the fluorescent lights in his room with bare bulbs and lamps, posted Depression-era grocery ads on the wall and played music of the era for his students. Johnson will retire this year after 32 years of teaching history, according to CNN affiliate KARE, but watch the video to get a sense of how his students have learned about history over the years. (CNN) - An 11-year-old from Michigan said he was really going to wow his schoolmates with the "coolest" show-and-tell item anyone's ever brought to the sixth grade. After all, it's not every day you get to show off a 13,000-year-old mastodon bone you and your cousin found in a stream behind your backyard. "I thought it was a rock at first, but a couple minutes later I looked more at it, and I didn't think it was a dinosaur bone, but I wasn't sure," Eric Stamatin of Shelby Township Michigan told CNN on Thursday. He and Andrew Gainariu, 11, from Troy, Michigan, were hunting for crayfish in the stream that extends from the middle branch of the Clinton River, as they often did, when they "got bored" and decided to build a dam. They made an extraordinary discovery that June day. John Zawiskie, a geologist and paleontologist at the Cranbrook Institute of Science confirmed in early November that what the "kids just being kids outside" discovered was not a rock at all, but an axis, a specialized second vertebrae behind the skull in the spinal column of an American mastodon. "These animals have been extinct for 10,000 years," Zawiskie told CNN. (CNN) - CNN's Don Lemon talks to Courtney Pearson, who became the first African American homecoming queen at Ole Miss. 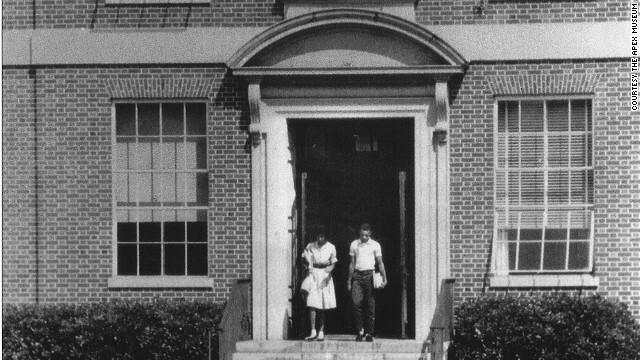 August 30, 1961: Lawrence Jefferson and Mary McMullen integrated Atlanta's Grady High School. Atlanta (CNN)–My great aunt Muriel Lokey passed away August 27, 2012, at age 90. Family and friends gathered recently in Atlanta, more to celebrate her being and her attitude toward life than to mourn her passing. During her rich life, Lokey explored the world with her husband, Hamilton (Ham), climbing the world's mountains and rafting down America's rivers. 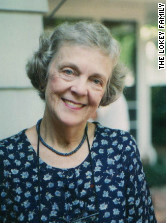 Muriel Lokey co-founded a group that helped integrate Georgia's public schools. Decades before those accomplishments, Lokey was a force for justice and social change in her home city of Atlanta. In 1954, the U.S. Supreme Court decided in the now famous case Brown vs. Board of Education of Topeka, Kansas, that all public schools must desegregate. Soon after, Georgia passed a series of laws, in defiance of the court, to bolster segregation. Ham Lokey, Muriel’s husband and my great-uncle, was in the state legislature and he and six or seven of his fellow representatives were often the only votes against these measures. By 1958, the state of Georgia mandated that if any public school integrated, its school district would be shut down. The Lokeys had five children and they believed in public schools. Muriel Lokey began to talk about the issue with other Morris Brandon Elementary School parents, over coffee or when dropping off or picking their children up from school in the daily carpool. Later, she told the Atlanta History Center, "The school crisis came to a head in 1958, and I had a front row seat in watching the amount of changing in our society and I climbed on the stage and played a role in the drama." (CNN) It is a scene that has not been witnessed at Harvard in the past 41 years: This week, U.S. Army cadets in uniform performed their 6:30 a.m. exercise routine on campus, the sun rising behind Harvard Stadium and reflecting on the faces of the students. 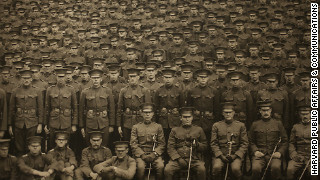 The Reserve Officers' Training Corps at Harvard was one of the first in the nation. Here they are being photographed on Memorial Day, May 30, 1917. At the 2012 ROTC commissioning ceremony at Harvard, school President Drew Gilpin Faust congratulated the new ROTC graduates and emphasized the importance of this new military-civilian partnership to U.S. society. “As Harvard seeks to shape that society and educate its citizens, it must necessarily be connected to its military. We must ensure that Harvard students understand military service as a choice to consider and honor, even if – and perhaps especially if – they pursue other paths,” said Faust. Kathryn Roth-Douquet, former Clinton administration Defense Department official and author of “AWOL: The Unexcused Absence of America's Upper Classes from the Military and How it Hurts Our Country,” has long criticized the ban of ROTC programs from Harvard and other Ivy League schools, including Yale, Columbia and Brown. 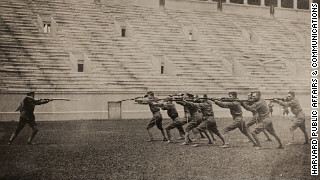 Harvard ROTC cadets are doing a bayonet drill in the school's stadium in 1917-1918. 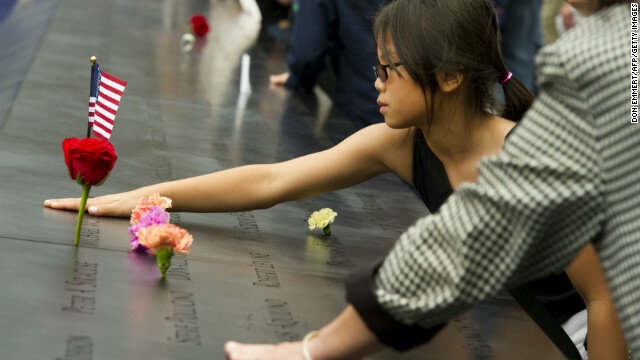 A young girl touches a name on the 9/11 memorial South Tower pool of the World Trade Center in New York . (CNN) - I can vividly remember September 11, 2001, but today’s fifth-graders were not even born on that day. For them, September 11 is history - and often, a topic in their history class. Most teachers use best-selling civics and American history textbooks that describe the attacks on New York and Washington. And as of last fall, 21 states specifically mentioned 9/11 in their social studies standards. Those are results from a scan of state laws and textbooks conducted by William & Mary professor Jeremy Stoddard and University of Wisconsin-Madison professor Diana Hess. My organization, CIRCLE, published its study last year. The authors tell me that not much has changed since then. (CNN Student News) - How much do you know about the news that happened this past summer? 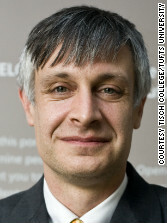 Take this CNN Student News 2012 summer wrap quiz and find out! 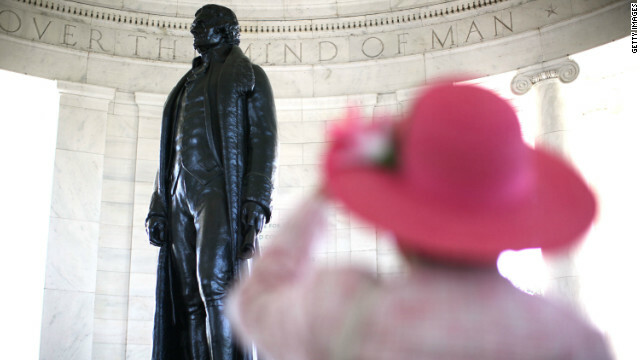 A visitor to the Jefferson Memorial in Washington, D.C. takes a photo of the statue of Thomas Jefferson. (CNN) Scholar, inventor, statesman, author of the Declaration of Independence … blogger? Only in recent years has the third president of the United States added that achievement to his many credits. To mark the 250th anniversary of Thomas Jefferson’s completion of studies at the College of William and Mary, the Colonial Williamsburg Foundation decided it was time to take his views on education into the blogosphere. “We have our own Thomas Jefferson, Bill Barker, who’s been interpreting Jefferson for more than 20 years,” said Robyn Eoff, director of the Internet for Colonial Williamsburg. Barker gives visitors a chance to hear from and see this multitalented Founding Father. Bill Barker has been interpreting Thomas Jefferson for more than 20 years. 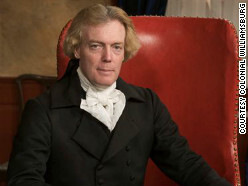 The foundation launched its first Thomas Jefferson blog ahead of the 2008 presidential election. Back then, Jefferson “blogged” about all things political. This summer, the focus of Jefferson’s Blog is education. Jefferson came from a very literate family of eight children, and his mother and older sister were the only women in their county who owned their own books at that time, says history professor and author Susan Kern. Jefferson’s father, she says, set aside money for his daughters’ education. The man who would author the Declaration of Independence received the liberal arts education of his time - including Greek, Latin, religion, science, and philosophy, among other subjects. He had an appetite for learning that continued throughout his life, and he had a lot to say about how we should prepare future generations for their role in the republic he helped to establish. Kern told CNN that Jefferson believed education was so important to the young United States that he supported free public education for both boys and girls, especially for “the most talented minds,” whether or not their families could afford it. “I think by far the most important bill in our whole code is that for the diffusion of knowledge among the people. … Let our countrymen know that the people alone can protect us against these evils [tyranny, oppression, etc.] and that the tax which will be paid for this purpose is not more than the thousandth part of what will be paid to kings, priests and nobles who will rise up among us if we leave the people in ignorance,” Jefferson wrote. School's out for summer...but why? (CNN) The reasons why America’s students enjoy around two months off every summer probably aren’t based on some archaic, farm-based education schedule, as many people believe. They’re more likely the result of what was happening in American cities. Flash back to the mid-1800s. Students in rural communities were needed to help with farm work, to be sure – but not in the summertime. Spring was the planting season, and fall was the harvesting one; summer might’ve been a great time to study, as it wouldn’t have been interrupted by work involving crops. But in U.S. cities, where students were taught throughout the calendar year, some of the education experts and doctors of the day believed too much schooling placed a stress on kids. And there were several factors that made summertime the ideal time for a break. For one thing, it was hot. We can just turn down the thermostat today, but imagine sitting in an unventilated, urban schoolhouse without air conditioning or indoor plumbing as the thermometer pushed 100. Not a comfortable environment for learning. For another, wealthier families – and some school administrators – took vacations in the summer. And teachers often used the warmer months as training time. So organizers of what came to influence our modern school year thought it best to strike summer from the academic calendar and to allow everyone, urban and rural, some time out of class.